The Turbo Original Playcenter Combo 4 Bonanza is a complete activity center for many years to come. This swing set has it all and a towering 15′ slide as well! 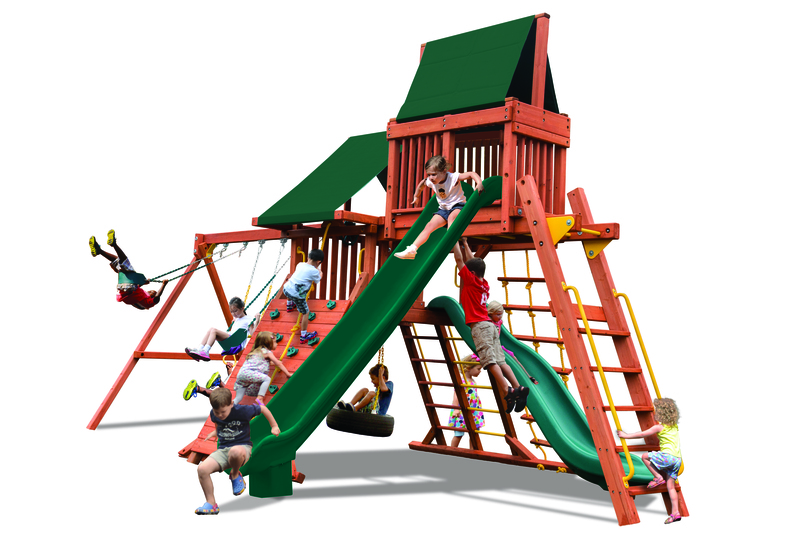 Featuring a 5.5ft high playdeck, rockwall and step/rung ladders, 8.5ft high swing beam with 3 swings, Monkey Bars, Sky Loft, and a 15′ Super Slide. With the sky being the limit, our Playground One Turbo Original Playcenter is the true definition of quality and play! !